Tickets for the Logroño Open 2019 are already on sale! The National Padel Series and Estrella Damm have announced today their agreement for the next six years, thus strengthening the brand's commitment towards sport and padel in particular, which it has supported for over 20 years. The agreement means the beer brand will be the main sponsor of the competition and it will be now called the Estrella Damm National Padel Series. 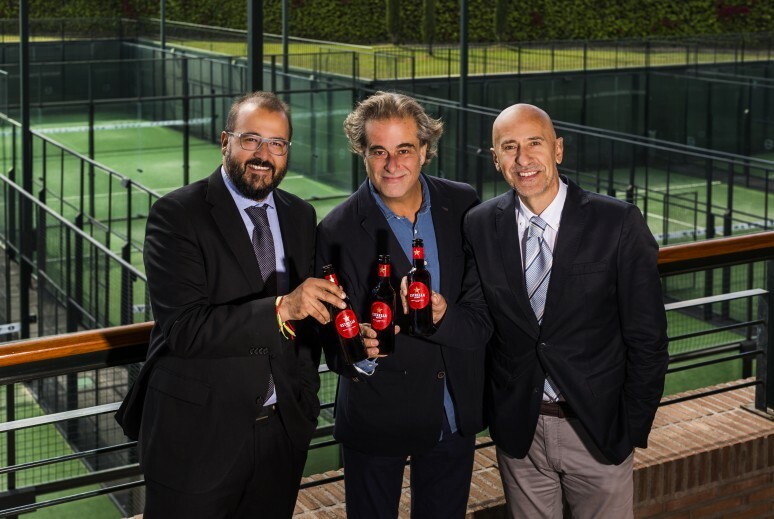 Estrella Damm will also become the official beer of the National Padel Series. One of the main pillars of this project is the link between amateur and professional padel. Padel has grown massively in Spain in the last few years, with a huge rise in both fans and players. The agreement between the National Padel Series and Estrella Damm will enable the World Padel Tour, where the best players in the world compete, come closer to the fans and strengthen the relationship between professional and amateur padel. All involved parties exprressed their delight with the agreement. Paco Gamez, chairman of the National Padel Series, claimed that "reaching this agreement with a benchmark brand in padel such as Estrella Damm will give us a leap in quality in terms of organization, and that will have a positive effect on the clubs and players involved in the National Padel Series". Gamez also insisted that the alliance with the WPT will create "a much more direct link between amateur and professional padel". On his behalf, Damm's Head of Sponsorhip, Jofre Riera stated: "Padel is a sport which Estrella Damm shares a lot of values with, such as effort, friendship and sharing fun moments with friends. Collaborating with the National Padel Series is a big step in Estrella Damm's support for padel, as it will enable us to strengthen the brand's link with amateur padel, as well as bringing us closer to all our followers that play padel". Mario Hernando, the CEO of the World Padel Tour, mentioned that the agreement "will bring the WPT even closer to everyone that plays padel" and that "it will enable the WPT to offer its expereince to the world of amateur padel". Hernando is also confident that "this alliance will strengthen the sport". At the start of its fifth edition, the Estrella Damm National Padel Series can claim to be the biggest team competition in the whole world of padel, with over 50,000 players and 550 clubs taking part throughout the country. Its philosophy has always been to develop amateur padel, where it has focused all of its efforts, by creating a competition which also has a social aspect to it. All of this is achieved thanks to an experienced and professional organization which employs the use of new technologies. Estrella Damm's relationship with sport started with the birth of the company in 1876. Since then, the brand has been ever present in the world of sport through different initiatives and collaborations with sporting events, both domestically and overseas. After the 1992 Olympics in Barcelona, Damm decided to commit itself to padel because of its huge potential in an age when it was still a very small sport. It did so initially by supporting the sport at an amateur level, with the creation of the Estrella Damm Padel Tour and the Club de Padel Damm, before making the leap to professional padel with its sponsorship of the World Padel Tour.